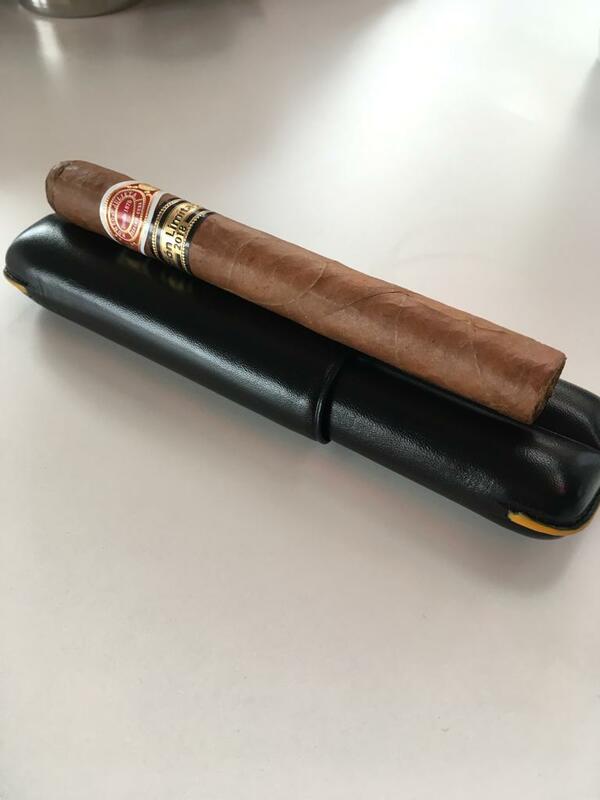 Part of Habanos SA 2018 Limited Edition Series, the Romeo Y Julieta Tacos is the only one coming in box of 25 cigars. The Cohiba Talisman and Bolivar Soberanos come in SLD Box of 10 cigars. The cigar is visually very elegant, great wrapper, nice size. A very pleasing cigar to look at. I did not get very inspired while sharing this experience but thought even in few words I could describe it. I look forward to hearing you point of view on this cigar. Strong ash developing straight away which is most o the time a great sign of good construction. The flavours are slightly woody but very shy to start, a bit of saltiness tickles the edge of the palate. Medium strength at the beginning, but tends to become stronger as it warms up quickly. The Romeo Y Julieta Tacos burnt evenly during the first third and nothin really to mention regarding its construction. Feeling of green pepper and dry tea leaves appearing half way in the cigar development. These two are a bit clashing and not making the blend very enjoyable. After 35 minutes you feel a lack of development, flavours are quite similar all along the smoke. The smoke density increases and gets milky around the second third. The cigar is well rolled as the draw and burn are almost perfect. However the blend of tobacco lack of complexity and harmony. I will give it another chance in 6 months then a year to see if any changes have occurred. CigarStash.com – the ultimate cigars shopping tool!